How does a well established, three-hundred-year-old manufacturer apply subscription models and innovative marketing techniques to expand their customer base? Husqvarna Group has answered that question with their new concept, Husqvarna Battery Box. This automated tool rental shop was launched in Sweden in May of 2017, featuring Husqvarna’s line of eco-friendly, battery-powered professional gardening tools. With Battery Box’s usage-based payment model, customers don’t have to buy the tools, they can easily rent and pay for them with an app. Battery Box makes tools accessible to customers who may lack the space to store tools, or who may be hesitant to make an initial investment in a particular tool. Given the chance to use tools before making a purchase, customers also can see for themselves that Husqvarna’s battery-powered products are just as powerful as tools fuelled by petrol. Chainsaws enter the sharing economy with Husqvarna Battery Box. Making Husqvarna Battery Box a reality required a strong vision and open collaboration, both within the Husqvarna organisation, as well as with the group of partners who participated in the project. With an ecosystem held together by clearly defined roles and shared goals, Battery Box quickly went from concept to rollout in just six months’ time. This white paper from Telenor Connexion takes a look at how Battery Box is setting the mould for new, connected business models, and how Husqvarna is proving that they are truly “the world’s oldest startup”. The Telenor Connexion Managed IoT Cloud serves as the “brain” that keeps track of all the interactions. While the Battery Box solution employs cellular technology, Telenor Connexion’s IoT platform and cloud management solution works with any type of connectivity technology. The Telenor Managed IoT Cloud Service has been one of the true triggers for executing on our ideas within the Battery Box project, a project that without external force never would have happened as fast, perhaps not even at all. Swedish manufacturer Husqvarna Group has seen more than a few market shifts over the past three centuries. Founded in 1689 as a rifle manufacturer, Husqvarna grew to become a renowned maker of sewing machines, motorcycles, and much more. Today, Husqvarna has a global presence manufacturing and distributing high-quality outdoor power tools for both professionals and consumers. Throughout their long history, Husqvarna has continually found new ways to connect with end-users. Keeping with their tradition of innovation, Husqvarna are now employing the Internet of Things (IoT) to reach new customers, increase customer value, while also promoting sustainability. Digitization is of great strategic importance for the Husqvarna Group. Through increased digitization, the Group aims to lead the market and be a pioneer in shaping the “smart gardening” sector. 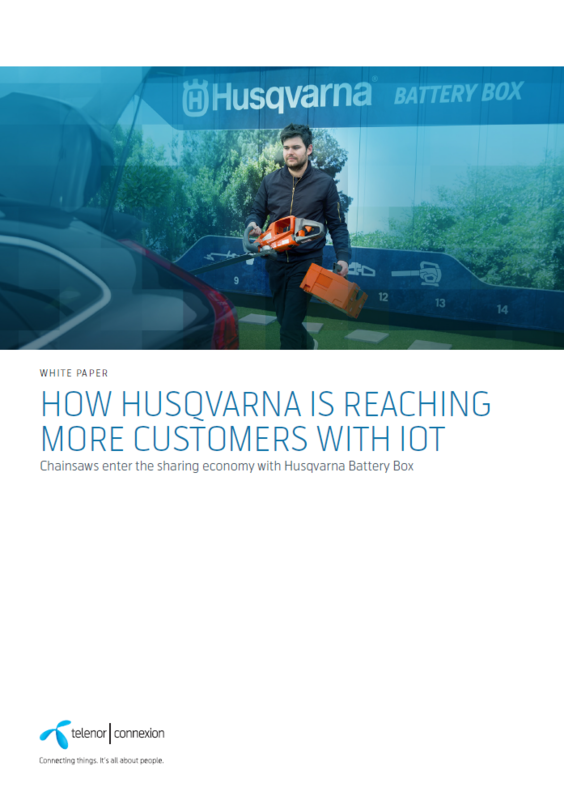 Husqvarna’s first project with connectivity and IoT began a few years ago, when connected products started to appear on the consumer market. Spotting this trend, a few forward-thinking people at “the world’s oldest startup” suggested connecting Husqvarna products to the Internet of Things. 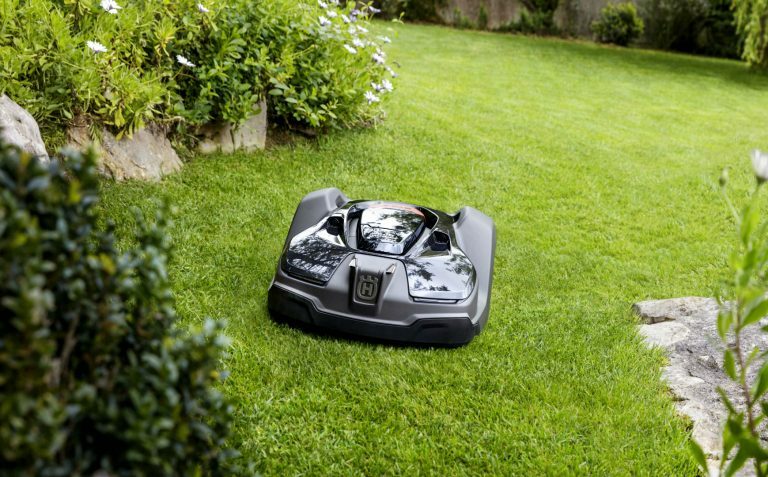 With the launch of the My Automower app in 2013, followed by Automower Connect in 2015, Husqvarna took their first steps into the IoT by introducing Software-as-a-Service (SaaS) add-ons to robotic lawn mowers. 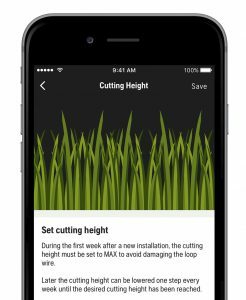 The new digital services allow customers to control and interact with robotic lawn mowers via an app. Learn more about our IoT offering or get in touch with one of our IoT specialists, we are happy to discuss your ideas for connected products!